Victoria Outdoors is your local specialist for artificial grass solutions in Melbourne. We get our business from recommendations by our satisfied clients who appreciate quality of our work and products we use in residential and commercial outdoors. Once you call us for the measure and quote, we will advice you on different types of options for your outdoor. We use the strongest varieties of turf available in the market. 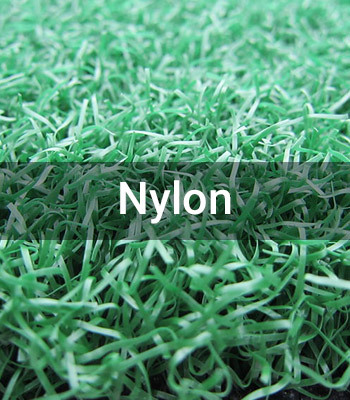 Nylon artificial grass is designed to withstand heavy weight as well as heat during extreme temperatures. It is able to retain strength and does not gets de-shaped or lose its original shape. This variety is expensuve which calls for other stronger options that can withstand heat and weight easily. 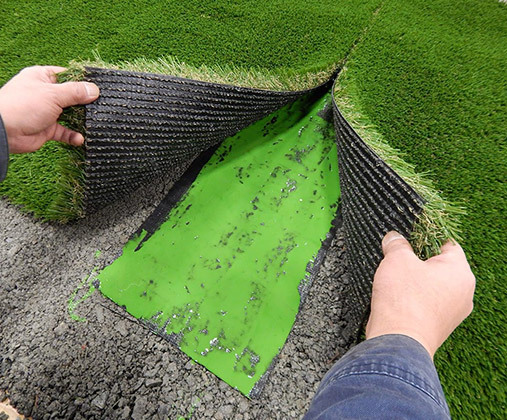 You can also use a patch as means to strengthen and have stability of other artificial grass products. 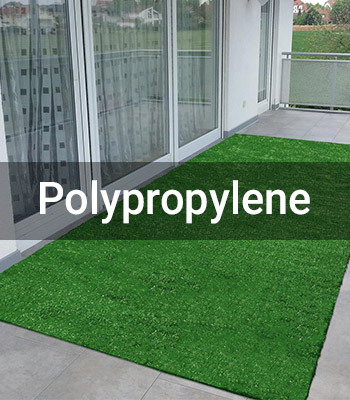 The other two varieties – polyethylene and polypropylene are less expensive options in artificial grass and look wonderful when laid. These have high strength and look great when mixed for structure. We do care about value for your money and while laying the final product, we will design as per the needs. We know where to use which variety such as areas that will not have heavy foot traffic or vice the versa . The aim is to set up an outdoor with turf that stays for a very long time with least maintenance, comfortable to use and looks equally great. This is the strongest type of artificial grass that is available on the market. Nylon artificial grass can stand up to both heavy weight and high temperatures without getting matted down or losing its original shape. This makes nylon grass a great choice for a number of applications as you won’t have to worry about accidentally crushing it or the hot sun damaging the appearance of your grass. Unfortunately, due to its high cost and how stiff the pile is, it’s not used very often for backyards or for landscaping. It does do a great job as a putting green and many homeowners opt to have a patch of nylon artificial grass installed at their homes if they are interested in being able to practice their putting. Nylon artificial grass is often used as secondary thatch to help improve the stability of other artificial grass products. 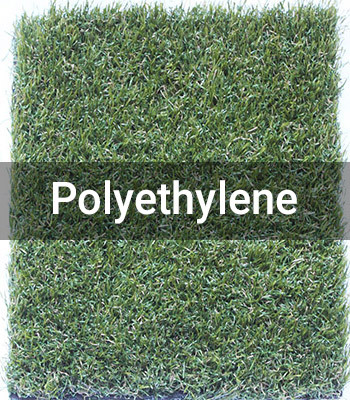 This means that it will give polyethylene and polypropylene artificial grass a lot of structure and strength. It will be mixed with these other artificial grasses to create a final product that is comfortable, strong, and great-looking, combining the strengths of the types used. Due to the texture and stiffness of the pile, this grass does not feel natural at all, although it does look great and tends to last for a very long time when it has been installed correctly. This is the most expensive type of artificial grass but because it will last so long, it generally offers a great return on the investment. It’s ideal for areas where you won’t be playing as it is not the most comfortable artificial grass option available but will look great for a very long time without much care. This is the strongest type of artificial grass that is available on the market. Nylon artificial grass can stand up to both heavy weight and high temperatures without getting matted down or losing its original shape. This makes nylon grass a great choice for a number of applications as you won’t have to worry about accidentally crushing it or the hot sun damaging the appearance of your grass. Unfortunately, due to its high cost and how stiff the pile is, it’s not used very often for backyards or for landscaping. It does do a great job as a putting green and many homeowners opt to have a patch of nylon artificial grass installed at their homes if they are interested in being able to practice their putting.